‘The March’, is a feature documentary, a celebratory story of the renowned 1963 March on Washington for Jobs and Freedom - largely remembered for Martin Luther Kings’ world famous and iconic ‘I Have a Dream’ speech delivered on the steps the Lincoln Memorial in Washington D.C. The speech was delivered to America’s largest multi-racial audience; more than 250,000 people brought together by the March on Washington for Jobs and Freedom. An event which received unprecedented media coverage, broadcast live to millions of people domestically and around the world. A watershed moment for the Civil Rights movement, the 1963 March on Washington for Jobs and Freedom brought together a huge coalition of powerful and revered civil rights organisations, labour unions, and civil rights leaders - which included the National Association for the Advancement of Colored People (NAACP), the Congress of Racial Equality (C.O.R.E), the Southern Christian Leadership Conference (SCLC), the Student Nonviolent Coordinating Committee (SNCC), the National Urban League and the March’s figurehead A. Phillip Randolph. It was to become the biggest civil protest in American history. ‘The March’ tells the forgotten stories which led to the call for the March and the fierce opposition from the U.S. government - including John F. Kennedy’s administration and the FBI and its leader, J. Edgar Hoover. It tells the eventual acceptance of the March by the state and the heroic endeavors to fundraise, organize and execute the March by hundreds of committed civil rights activists across America. The presence of huge Hollywood actors, directors and writers which helped to add ‘glamour’ to the solemn call for equality. And it charts the unfolding dramas of the behind the scenes events which included the fears of chaos, disturbances and the threat of racial violence. 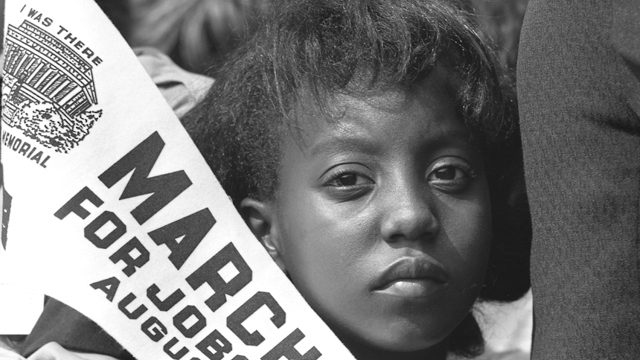 ‘The March’ is the story of the making of the March on Washington for Jobs and Freedom, told by the people who organized and participated in it. It includes interviews with some of the key actors; members of the inner circles of the core organizational groups; Hollywood supporters and civil rights campaigners; John F. Kennedy administration officials; and the ordinary people who became part of the crowd of thousands, who thronged to Washington D.C. by all and every means: plane, bus and car. 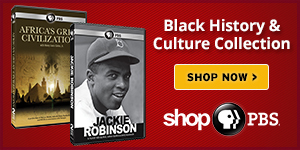 It is a story of massive achievement, the catalyst to the passing of the Civil Rights Act of 1964 and the beginnings of the legacy of freedom for all American citizens. ‘The March’ is the story of discrimination, defiance and victory told by the people who made it happen and whose lives it changed forever. 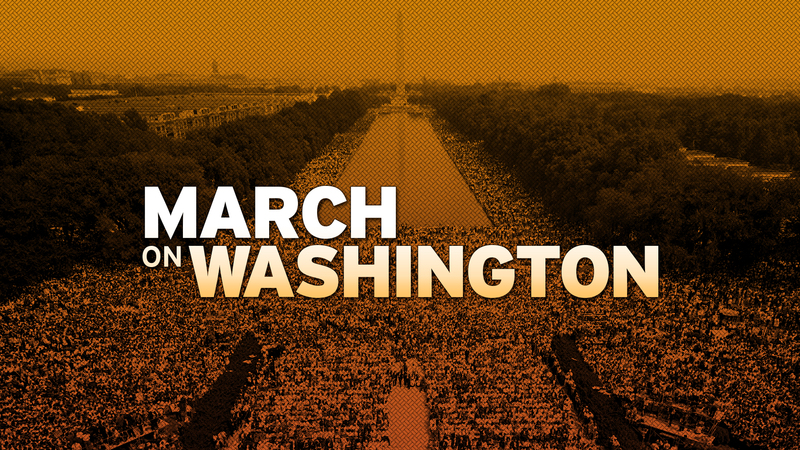 Browse more stories and resources about the March on Washington. Browse more photos of the 1963 March on Washington.